Casablanca-Rabat is a sprawl with millions of secrets and a willingness—an eagerness, even—to sell them. 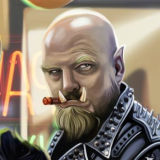 That means there is plenty of work for shadowrunners, but also a need for care, since revealing the wrong secret at the wrong time can lead to disaster. So get to know the city, get to know the culture, and learn how to play the game. 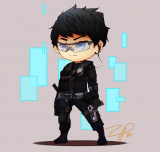 Then take your running to the next level in one of the most vital sprawls of the Sixth World. Shadows in Focus: Casablanca-Rabat follows Shadows in Focus: Morocco to fill in details of Africa’s northwestern shore, and you can either use both books to build in-game knowledge or focus on this one to help you launch shadowruns in a sprawl with a deep history of intrigue. 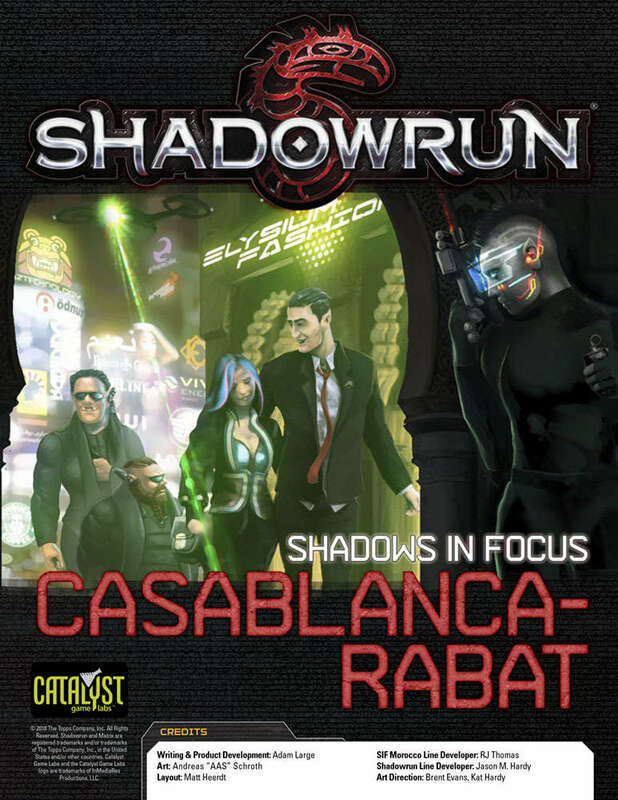 Shadows in Focus: Casablanca-Rabat has rules for Shadowrun, Fifth Edition, along with world-building that can be used in both Shadowrun, Fifth Edition and Shadowrun: Anarchy. Niiiice... One of these days I should start writing adventures based on the in-Focus series.